Please read the latest post on this lens. 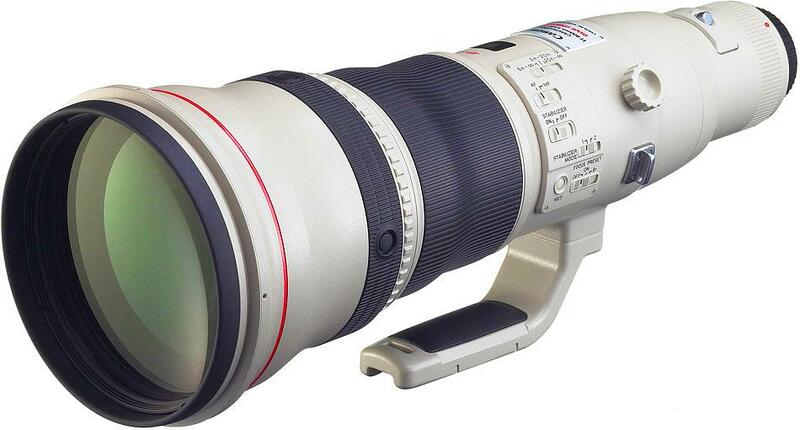 The Canon EF 800mm f/5.6L IS is the 'oldest' lens in the Canon Super Telephoto lineup. With the experience Canon has gathered from the successful launch of the Series II 'Big White' lenses, it will apply them to the Series II of the EF 800mm f/5.6L IS. In particular, Canon will utilize new material to reduce the weight of this lens, currently coming in at almost 10 pounds. With the imminent official announcement of the EF 200-400mm f/4L IS 1.4X lens in the new year, Canon will also be looking at the revolutionary, built-in extender technology closely and applying it to other Super Telephoto lenses, both zoom and prime. This is exciting news for the new L lenses coming in the next few years. The built-in extender technology is so much more superior than having to add an extender out in the field. I hope Canon can perfect this advancement and keep the weight down at the same time. They are also eyeing the latest 'lightweight' Nikon 800mm f/5.6 VR lens, scheduled to come on the market soon. Let the Lens Race begins, again.